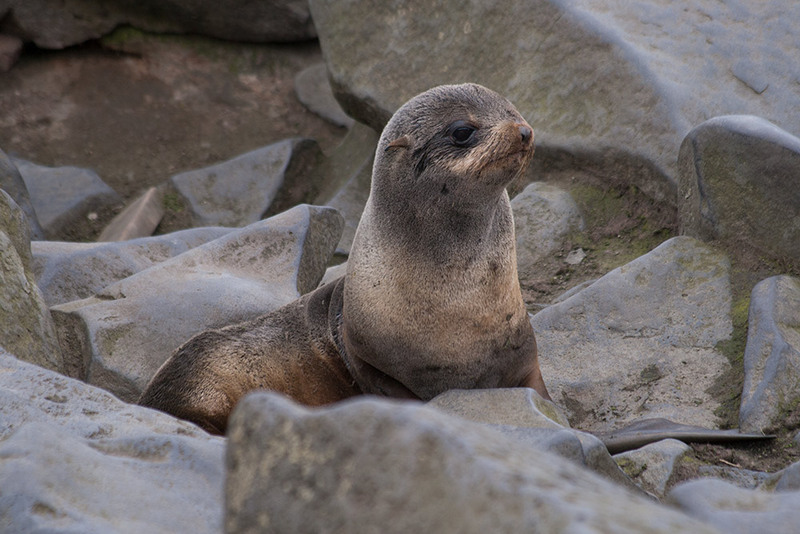 St. Paul Island is home to a huge number of northern fur seals. In fact, more than 50 percent of the entire population of northern fur seals breeds on the Pribilof Islands. Once hunted to near extinction, the northern fur seal is still listed by the Marine Mammal Protection Act as “depleted” in the Pribilof Islands, but not considered depleted elsewhere. The Russians harvested about 3 million fur seals during the period they controlled the Pribilof Islands, but the Russians were also the first to institute conservation measures to protect fur seal populations. Russia cancelled the harvest entirely in 1807, and ruled males and pups could not be harvested from 1822 to 1827. By 1847, Russia established a breeding preserve where females could not be hunted. When the United States purchased Alaska in 1867, commercial harvesting of fur seals resumed, taking about 2.25 million seals in the first 20 years. The pelts were so lucrative historians have estimated that profits from fur seals alone produced the equivalent of the $7.2 million purchase price for all of Alaska. In 1985, hunting of northern fur seals was restricted to Alaska Natives only and only for the purposes of subsistence. The tribal governments of St. Paul Island and St. George Island have a formal role under an agreement with NOAA Fisheries in management of the harvest. A visit with the northern fur seals of St. Paul Island is always sure to delight visitors. They are a fun, active animal that love swimming, fishing and “waddling” around on the beach, especially during breeding season. And they’re certainly quick to get out of the water when a shark or school of killer whales comes near. They have a lifespan of about 26 years, and males can be up to 600 pounds, females just over 100. If you want to see the new pups, northern fur seals reproduce from late June through July.